"What color shirts are available? 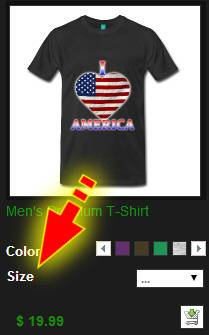 "How do I find the shirt color selector in the store? 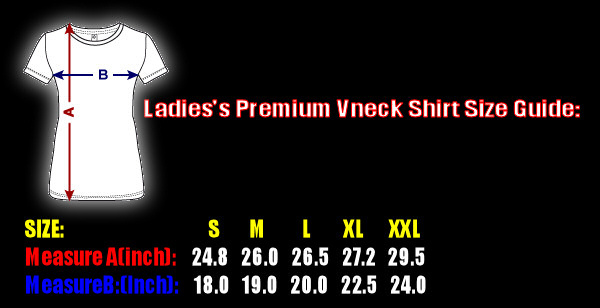 Where do I find the shirt size guide in the store? What material are the shirts made from? What color hoodies are available? How do I find the hoodies color selector in the store? What size hoodie should I order? Where do I find the hoodie size guide in the store? What material are the hoodies made from? How do I see the designs clearer? I like a design, what other product options do I have? How do I add an item to the shopping cart? 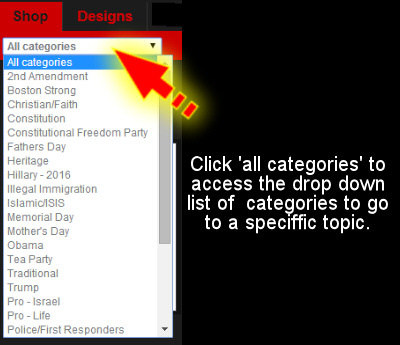 How do I select different product categories? Is there a different way of browsing store? What is your 'Fair Returns' policy? Whare are your volume discount rates? How do I contact Wolfie Howls? Note: Color availability is correct at time of uploading and is subject to change without notice. NOTE: Left and Right arrows for wider selection. 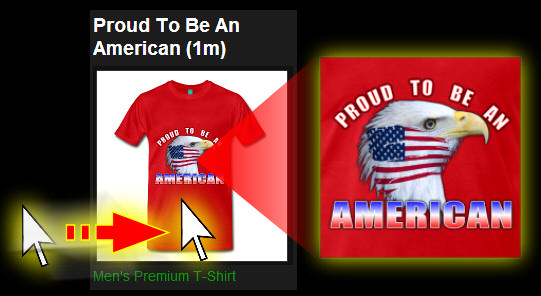 Move the mouse pointer over a product image to see it clearer/larger. Regular: Shirt with design printed on the front. Alternate1: Shirt with design printed on the back. Alternate2: Shirt with designs printed on both back/front (designs do NOT need to be the same). Prices vary by printing method and product. If you would like more information, or you like one or more of our designs, but would like them to be made available on one of these products, contact us and we'll do our best to make it happen for you. 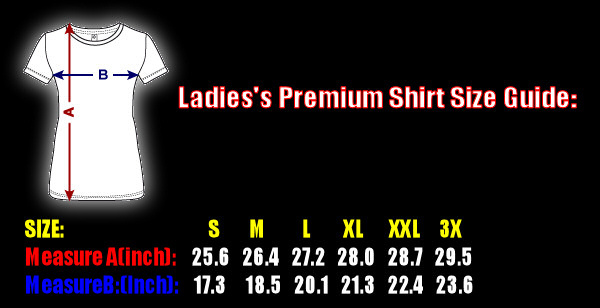 The shirt size guide can be found in two locations in the store: To access it, you should click the word shown below. This will popup a new window with all the size info you need. Double-stitched ribbed collar and hems. Double-stitched shoulder, sleeve, collar and waist. If you added an item to the shopping cart by mistake, or realized you prefer a different design and what to purchase that instead, on the shopping cart screen click the 'trashcan' icon on the right hand side of the item in the cart. NOTE: You can also change size and/or quantity of the items purchased here before proceeding to checkout. When you click that you will be presented with the designs in our store. When you click on a design you like you will see any products available with that design on it. Products from our Wolfie Howls store can be exchanged within 30 days of receipt. If the item has been produced with personalized specifications (i.e. if you used a personal line of text) then we cannot cancel your order, however, we are very fair. 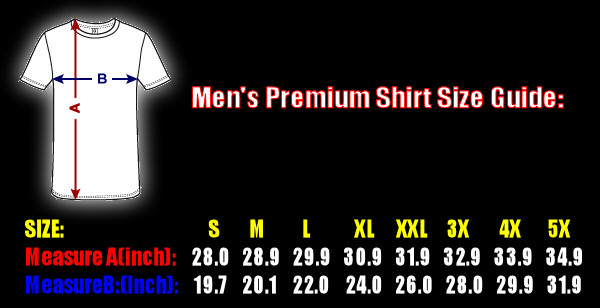 If you are not satisfied with a personalized t-shirt, simply contact our helpful Service Team. As long as a football jersey-set for the entire team does not need to be exchanged, we are very accommodating. If the ordered item contains defects (e.g. because of a printing error), then we will obviously take the product back, reimburse your money or send an error-free product. You do NOT have to pay US sales tax on your Wolfie Howls order. Unfortunately, customs and countries outside of the USA, sometimes place a steep tax on packages arriving in countries across the world from the USA. As we cannot control these taxes, there is no way to make them lesser. However, we have dropped shipping cost to help reduce some of the costs for these such instances. From 6 products from the Wolfie Howls store. From 25 products with the same design from the Wolfie Howls store. *Approx. 5-14 day turnaround time (Rush production and delivery are available at extra cost). *FREE standard delivery. on most orders (exclusions apply for rush orders). Orders shipped out of the continental U.S. will be required to pay shipping costs. More discounts with increasing quantity. 30 day return policy does not apply to bulk orders of 50+ products. If you have any further questions, suggestions or special requests, please contact us.